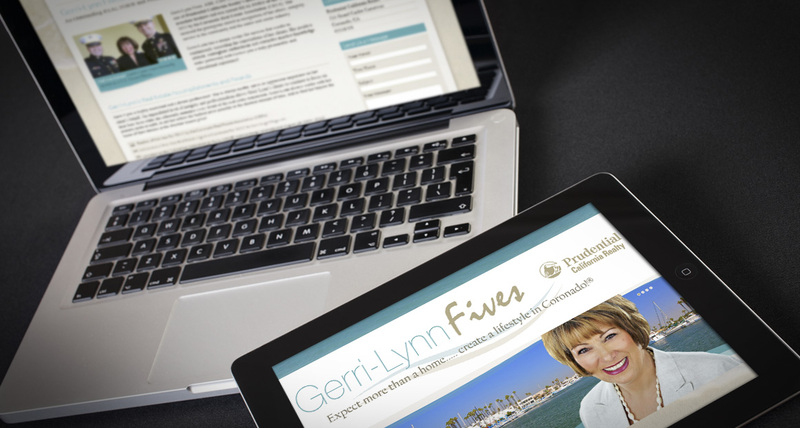 myRealDESIGN created a custom designed website and company logo for San Diego, California real estate agent, Gerri-Lynn Fives REALTOR. 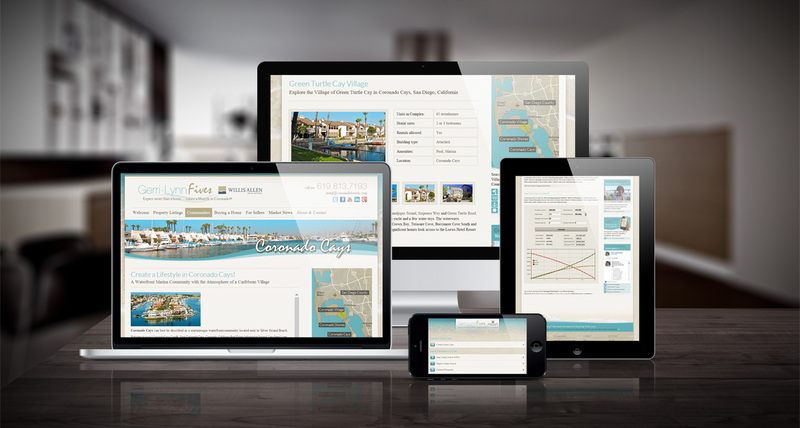 The coronado4sale.com website was designed with a relax, beach-style resort feel that matched the Coronado, CA lifestyle and features great property listings, home buyer and seller resources and community information about the Coronado Cays, Coronado Beach, Coronado Village and San Diego areas. 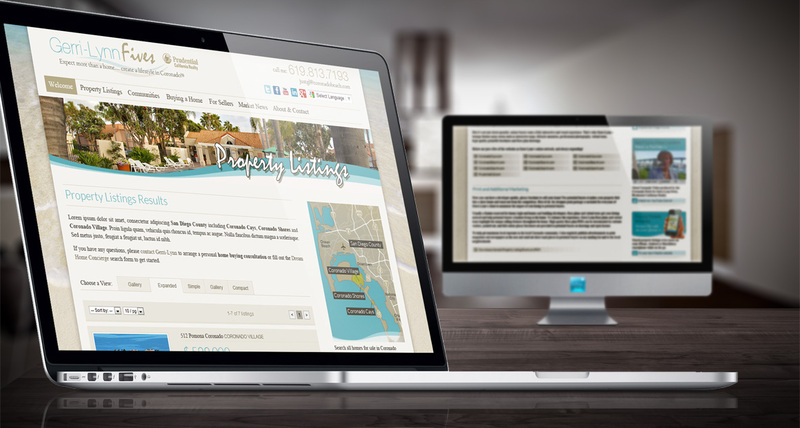 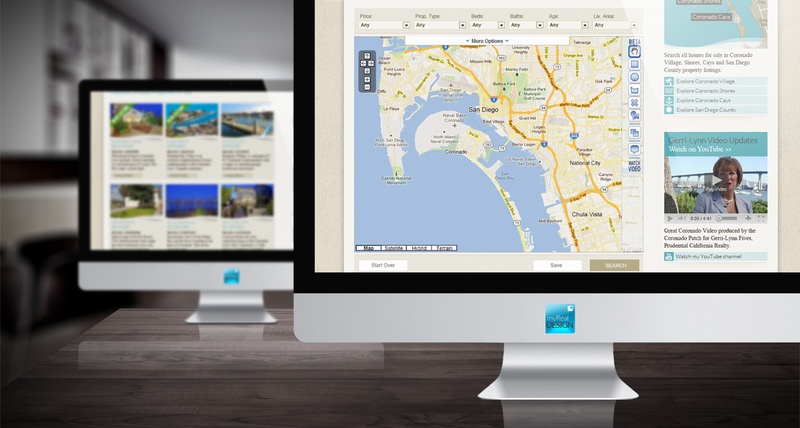 Interested in a custom website design for your myRealPage website? 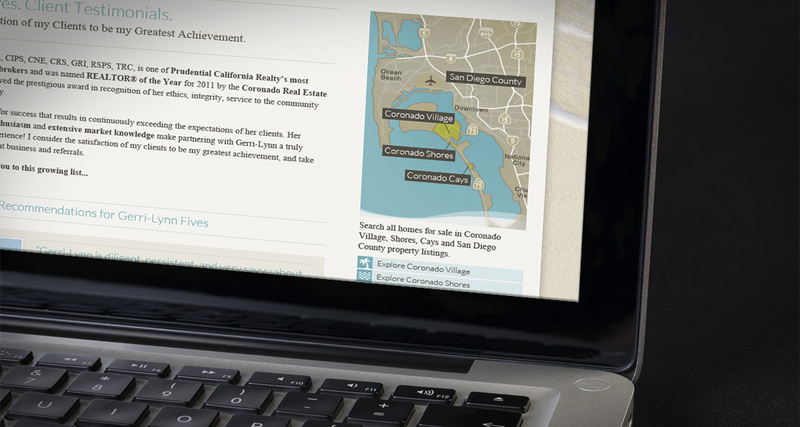 Contact us to find out how.